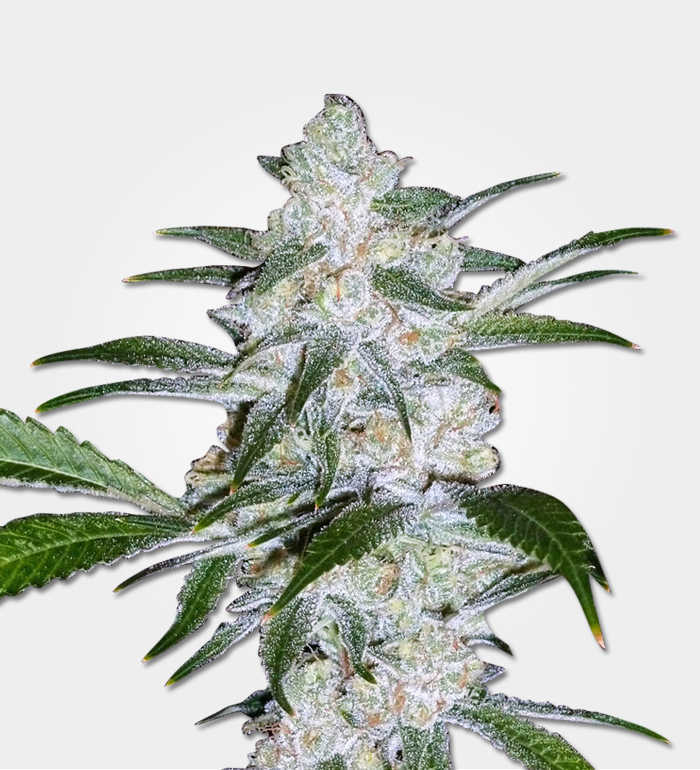 One of the most classic strains around, Big Bud is a cross between Afghani and Northern Lights and it is believed that either Skunk #1 or Haze was also included. The strain has been around since at least the 1980s, starting life in the U.S. and then being moved to the safe haven of the Netherlands to protect it from the war on drugs. Big Bud is a big plant with big buds and lots of them. 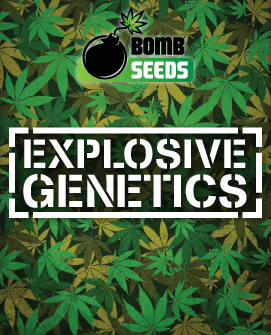 As well as providing plenty of quantity, Big Bud marijuana seeds also deliver quality, so they’re understandably very popular. With an average of 15%-18 THC, Big Bud delivers fast and effective pain relief. Which is quite adequate for a wide range of conditions, but doesn’t push you into an overwhelming high. 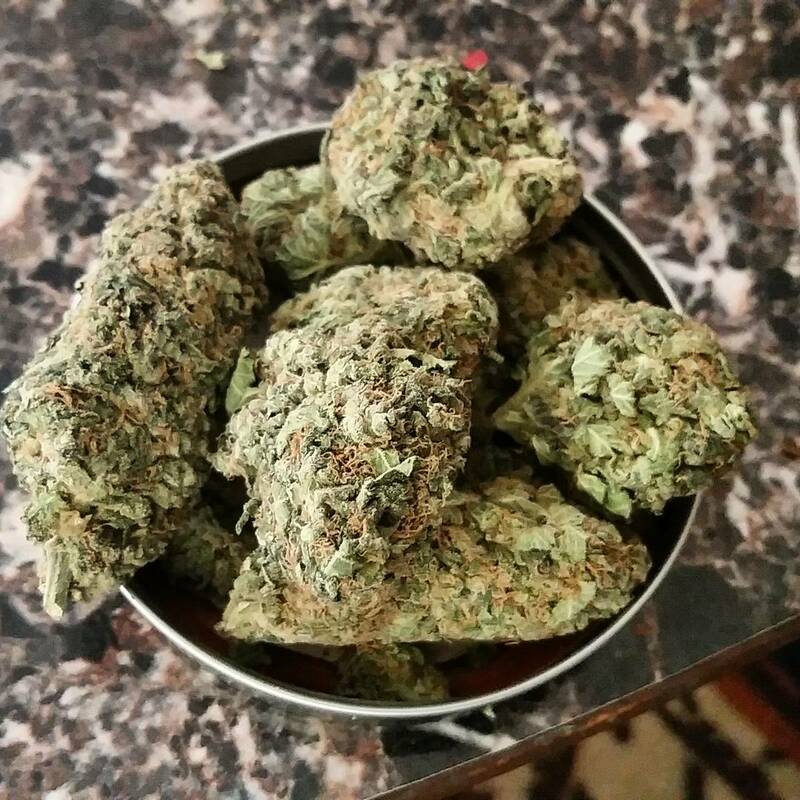 Itls more likely to send you to sleep as this strain is about 85% Indica. And so has plenty of CBD for that deep relaxing body stone, which soothes body and mind. This strain is definitely for evening use. Be aware that Big Bud can take a while to get going, so remember the old adage about starting low and going slow. Otherwise you could wind up feeling distinctly groggy after your stone. You will almost certainly wind up with the marijuana munchies so be ready with some filling snacks. Even complete beginners should be able to get a minimum of 350g/m2 indoors and that’s the least you should expect. The most capable growers can look at up to 550g/m2 indoors. Ooutdoor growers can expect up to 700g from each of their Big Bud plants. In fact, Big Bud produces so much bud, that growers generally have to provide the plants with support later in flowering. Outdoor growers can leave Big Bud to its own devices as long as it has plenty of space. Indoors, growers should probably think seriously about plant training, especially topping and bending. This would help encourage it into a shape which makes it easier for the light to access all areas. Therefore, improving and helping the development of the buds. 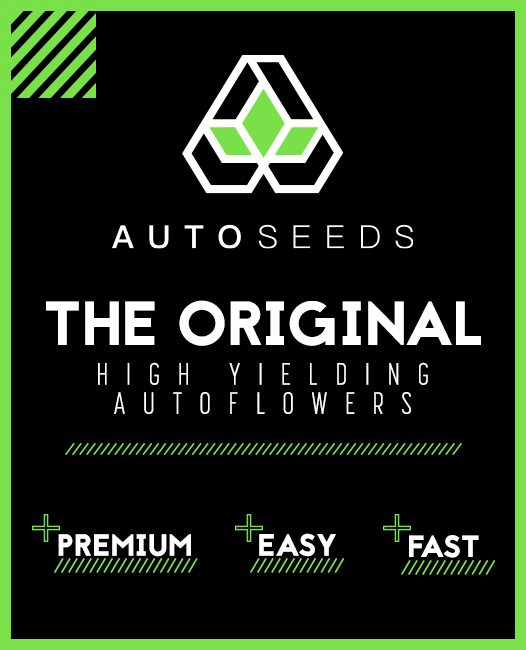 This is one of the two reasons why we class Big Bud as a medium-difficult grow. The other reason being simply because it’s a photoperiod strain and therefore you must manage light cycles. Big Bud does not necessarily turn into big plants, although this strain can grow quite tall by the standards of modern Indicas. You’re looking at an indoor minimum of about 1 metre. Although realistically you probably want to be prepared either for 1.5M, or for plant training. Outdoors, you’re looking at 1.5M and beyond. 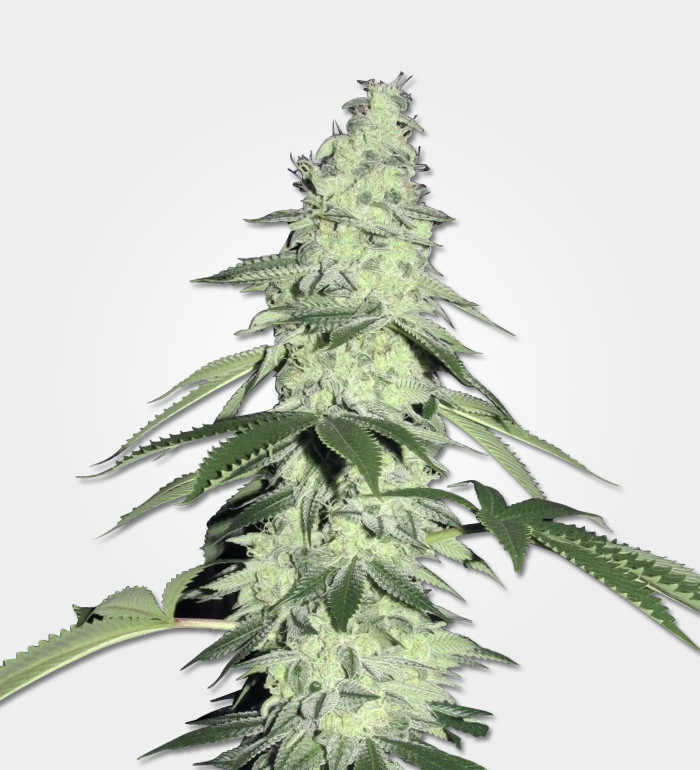 Where growing conditions are good, Big Bud can grow into plants of more than 2M in height. 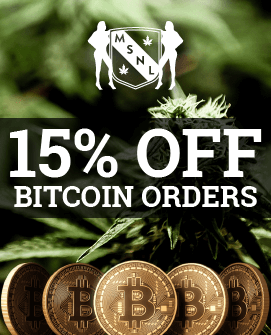 Big bud takes about 10 to 12 weeks, so you’ll be looking at an outdoor harvest towards the end of October. 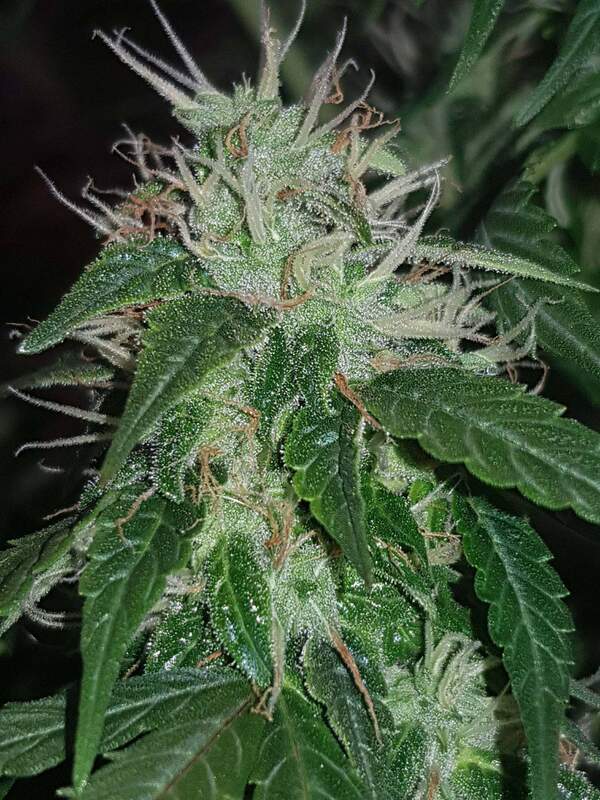 This strain is certainly perfectly happy outside, but it will be just as happy indoors. Once you have harvested your buds, you want to allow them plenty of time to cure. As their size means that they will hold more moisture and therefore need longer to dry completely. In the early stages, be super-vigilant about mould as it would be bitterly disappointing to lose your harvest at this late stage. 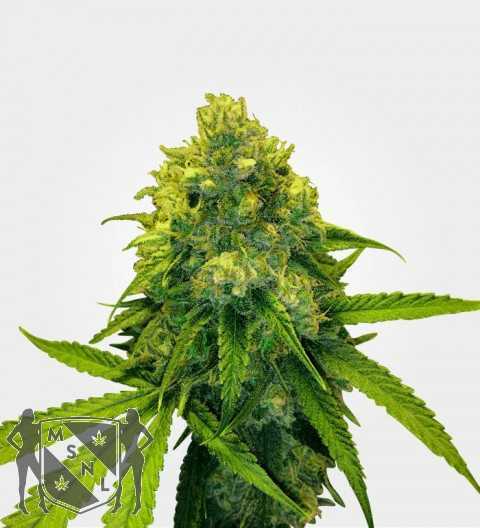 The taste of Big Bud is a lovely mixture of fruit sweetness, herbs and spices. Especially black pepper and a solid base of earth and wood. It’s often been compared to the taste of Jack Herer, but it’s more berry sweet, whereas Jack Herer is citrus sweet. 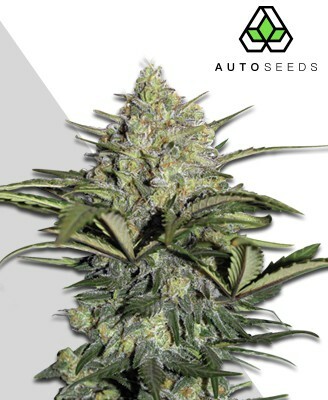 The aroma of Big Bud is all about the fruit and is distinctly reminiscent of a high quality scented candle. The smoke is smoother than you’d expect from the average Indica. The main part of big bud’s bag appeal is probably the size and weight of the bag, but that’s not all. They can almost look like they’re covered in ice. Forget about breaking them up by hand, you’ll need a grinder to make the most of these beauties.